The Cameo DJ Fluid is formulated for professional fog machines and immediately ready for use. It generates a medium fog density with medium standing time, and benefits from its ability to reflect sophisticated lighting designs. 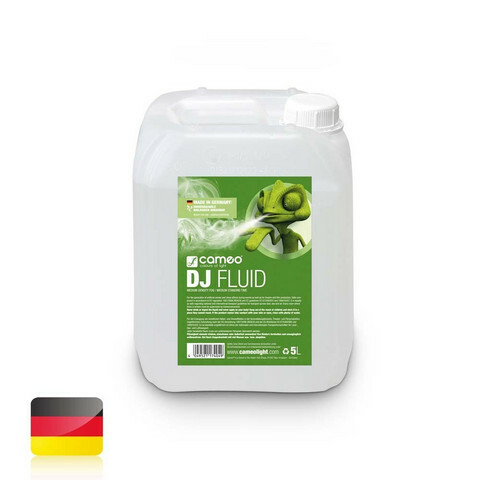 The Cameo DJ Fluid made in Germany is odourless, non-toxic and biodegradable; the DIN safety data sheet and a compliance certificate are available for download. Its quality is continuously monitored; the container is reusable. Available upon request as a 220 litre keg with tap.